We are delighted to present to the market, in immaculate order, this recently renovated, two bedroomed property on the Isle of Scalpay. The property affords some of the most spectacular scenery in the Scottish Isles with sea views overlooking Scalpay Bay. Accommodation is presented in excellent decorative order comprising kitchen and open plan living area, utility, W.C. and master bedroom with en-suite bathroom on the ground floor and a spacious bedroom with en-suite shower-room on the first floor. The property benefits from uPVC double glazing and electric heating throughout and a coal effect burner in the lounge. The property is surrounded by spacious garden ground with a tar driveway to the side with ample, private parking for two/three vehicles and a shared access road. There is a raised decking area to the front which is ideal for outdoor entertaining. 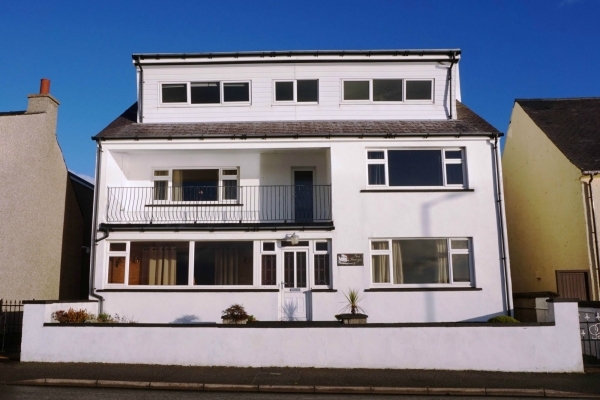 Aird Villa is approximately 6 miles from Tarbert, the main village on Harris where local amenities include primary and secondary school, sports facilities, health care, mini-market, restaurant/bar, hairdresser and ferry port. The town of Stornoway on Lewis is approximately 56 miles from Ardvey. In Leverburgh there is a well-Stocked co-op shop, hairdresser, Post Office, restaurant, primary school, community hall and Churches.